Concealer is one of those essentials in my daily routine...not only for undereye, but also for spot concealing blemishes, hyperpigmentation, redness, etc. I literally have a bin of concealers that I tried before I stumbled upon this concealer. Once I tried this one, I stuck with it. Maybelline Mineral Power Natural Perfecting Concealer is a liquid concealer that comes in a basic tube with a doefoot wand. It retails for about $7, which is extremely reasonable considering I rarely have to replace this even though I use a good amount on a daily basis. 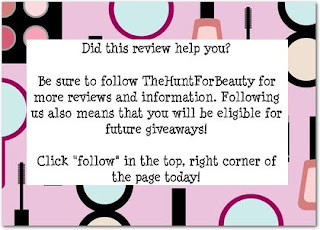 The texture is about that of any foundation, just in a tube. For a basic, drugstore concealer, this is amazing stuff. It's oil-free, talc-free, and fragrance-free, won't clog pores, and improves/hydrates under eye skin. It's also proven to reduce redness, dark spots, and soothe signs of fatigue. If that wasn't enough, it also blends easily for complete coverage, and it stays put all day. I mainly use this for blemishes, redness, and anything else I want to cover on my face. I have used it under eye, but I just don't love it for that. I can't put my finger on it, but something about it is "off." However, it does provide great benefits when used under eye, so you may want to try it for yourself. I can't complain though, since I already have under eye concealers I love and didn't initially purchase this product intending to use it there. 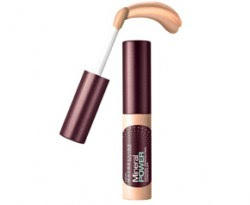 The coverage of Maybelline Mineral Power concealer is about medium and extremely buildable. You really can layer as many times as you feel the need to, and it still looks very natural. I never find this getting cakey or accentuating dry/flaky areas, so that's a huge plus. 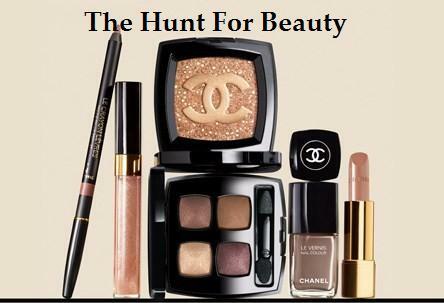 What I really want to mention here, is that I have no good match in any of Maybelline's foundations or concealers. But, for some reason, Fair 0-1 in this, is perfect. I am slightly under NC15, and this matches me perfectly. It looks as if it will be a little dark in the tube, but it goes on a bit lighter. I rarely stray since I love this a lot, but I have given into a few other concealers with big promises, and I keep coming back to this. I want to say I am probably on my 6th tube with full intent to keep repurchasing. Definitely give this a try if you are looking for a medium coverage concealer with a natural finish. You really can't beat the quality for the price!